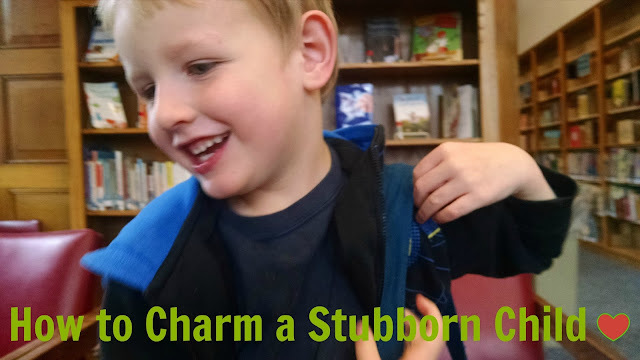 Last week I told you how to charm a stubborn toddler. This week, I'm going to tell you how to charm a stubborn child. This one in particular is named Levi, and he is five years old and in Kindergarten. Maybe you've already guessed: I charmed Levi through Storytelling. Before I tell you the whole story, I want you to know that I'm writing an ebook about how to tell stories to and with your kids. The ebook is nearly finished! And I'm happy to email you when the ebook becomes available for download. Even if you are only mildly interested, you should give me your email address. Because then you'll know when it's ready and be able to decide for yourself if the ebook is something that you want. I promise I won't spam you: Mom's honor. Tonight after dinner it was time for Jubilee to take care of her bowl, spoon and cup. You'll remember from the previous post that Jubilee is 2 years old, going on 3. She was supposed to take her dishes in to the sink, and she knew it. Hers were the last ones on the table. After asking her a couple of times to take them in, I could see that she was beginning to dig her heels in about the issue, "You know, if you don't take your dishes in, you don't get dessert." I had warned her. I decided to apply the story tactic. I picked up her bowl, and jiggled it a little as I said in a deep voice, "I'm going to eat your dessert and you're not going to get any." Her spoon and cup followed suit, in higher voices, telling her that they were going to eat it all up. "Nooo." She gave them the eyebrow. Jacob and I helped her play along. "You can't let them do that!" Jacob said. "Yeah, take them to the sink!" I added. "I'm going to eat your dessert," her bowl said again. And that's when she decided to defeat these dirty, dessert-hungry dishes once and for all. She took them to the sink. 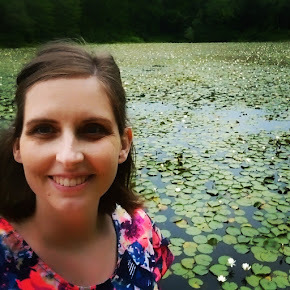 As she left, Jacob smiled, shook his head, and said, "There has to be a story." Just minutes later, Levi, who is 5, was refusing to put away his laundry. Jacob had asked him two or three times to take it upstairs and put it away. I decided it was worth it to try the story tactic. I jiggled his folded pants a bit and said, "I'm going to eat all your dessert." Being a five-year-old boy, he responded by punching the pants. "You'd better put those pants away, I said. "I punched them." he said. "Oh, that won't stop them, they'll still eat your dessert." "Yeah," Jacob chimed in. "The only way to keep them from eating your dessert is to put them upstairs, where they belong." Levi looked back and forth between us. Were we serious? He could see that we were serious. And serious silliness is Levi's very favorite kind. He took his clothes upstairs with great enthusiasm. This little story worked like a charm on both our 2-year-old and our 5-year-old. And my guess is that it would have worked pretty well on the 7 year old, too, but he wasn't feeling the need to test us. Here's why it worked. This is the world's simplest story. The only characters are the kid and the bad guy. That automatically makes the kid the hero of the story! And it makes me not the bad guy anymore. So, when I'm sick of being the bad guy, this is the kind of story I whip out. I just make the item that needs to be dealt with or the task that needs to be done into the bad guy and then vanquishing the foe becomes so fun. Subscribe to the email list above. I love this! Good post, simple and straightforward.